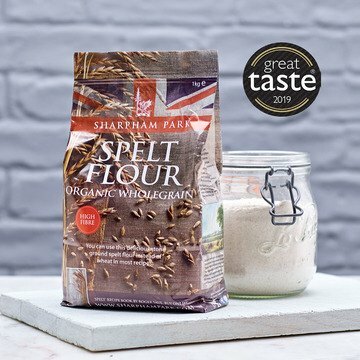 We’re delighted that our Organic White Spelt Flour has been awarded two stars for being above and beyond delicious and is described as being an outstanding product in the Great Taste Awards 2018, especially as less than 15% of all entries receive this rating! Our Organic Pearled Spelt and Date and Coconut Muesli also received one star. The Great Taste Awards supports, promotes and mentors artisan food producers large and small, who want to supply in the UK independent retail sector and overseas stores selling fine food and rate the top products every year.